My Korean grass till yesterday. 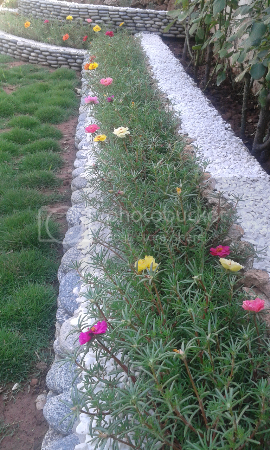 Masha Allah very quick growth of your korean grass. Any secret?
. 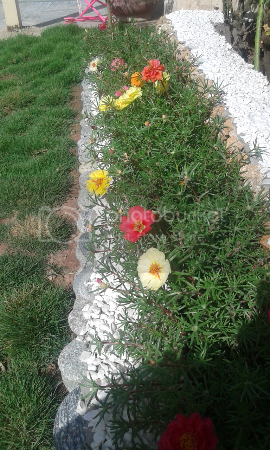 Very beautiful Portulaca & healthy grass in a well featured new garden.
. Don't you think the grass should now be cut to accelerate its horizontal growth/spread to quickly cover the gaps?
. 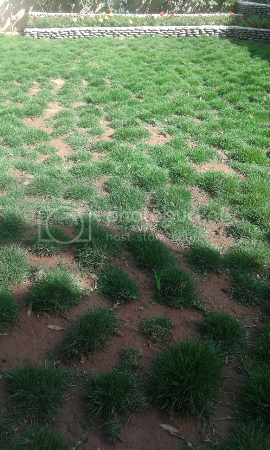 Looks to be a new lawn;if an old one,what type of grass have you replaced & why ? Hi thanks. Farrah first when i prepared the lawn soil i mixed some DAP before the grass was planted.Secondly when the grass showed some graowth i applied NPK with trace elements. 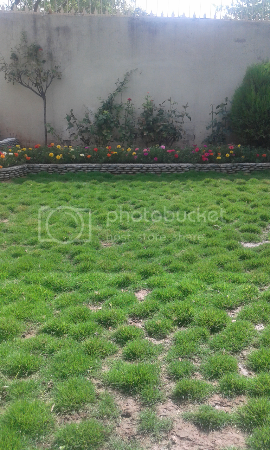 Yes Munir sn i moved the grass after the pictures.I replaced it with my most favorite Bermuda.This lawn in winter does not receive enough sun light.Bermuda can not tolerate any shade so i replaced it with Korean despite that i never liked Korean. [quote="UMARKHANMARDAN"]Hi thanks. Farrah first when i prepared the lawn soil i mixed some DAP before the grass was planted.Secondly when the grass showed some graowth i applied NPK with trace elements. What product do you use for trace elements.. I mean which brand? 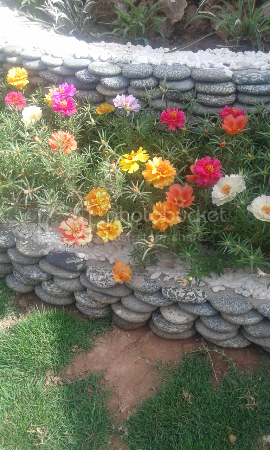 ICI NPK 20,20,20 with trace elements.Some times i also use only Micro nut plus urea mixed in water & spray it on the lawn grass after watering it. 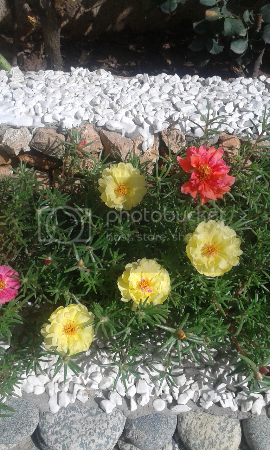 Some fresh shots from my garden.Portulaca is in full glory. The Korean grass has formed mounds again even after first cut. 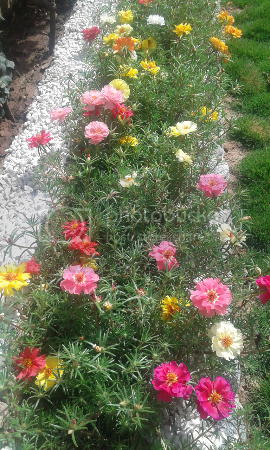 Portulaca a lovely flower that I grow no more in my house. 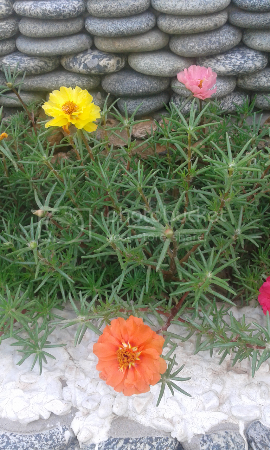 I sit in the garden early morning and late evening and it is not there. 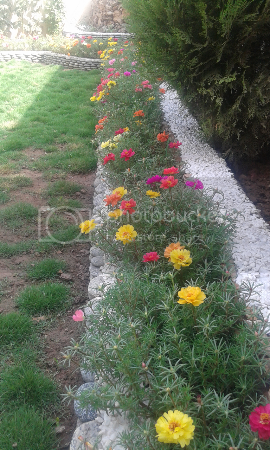 Though I have beds of it at my Thokar public garden.